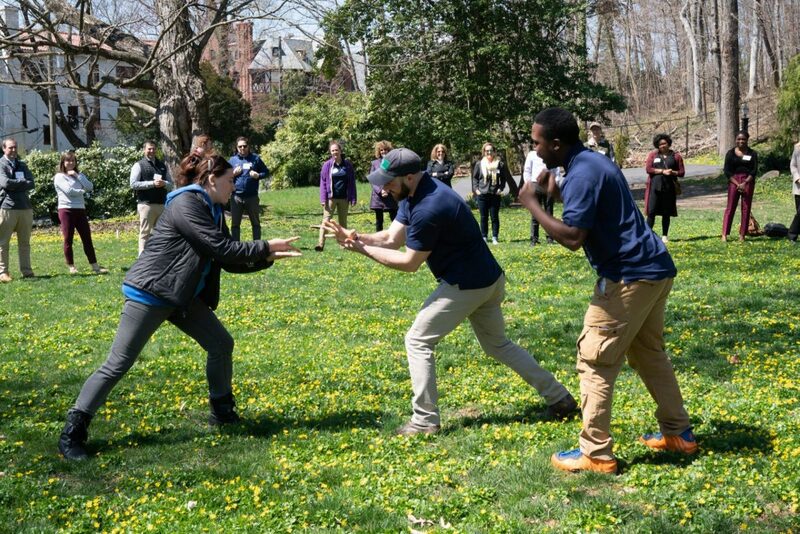 On a beautiful early April day in 2019, the Baltimore Chesapeake Bay Outward Bound School was honored to play a role at Learning to Lead, a professional development program for independent school teachers and leadership. Together, with AIMS (The Association for Independent Maryland & DC Schools), Calvert School, The World Leadership School and faculty & students from 25 different regional schools, we explored ideas of leadership, purpose, collaboration, and mutually beneficial partnership. Chris Cox and Kelly Reynolds lead a workshop on Social Emotional Learning at AIMS' 2019 Learning to Lead Conference. Outward Bound dispatched a few key members of the team to be a part of the day. 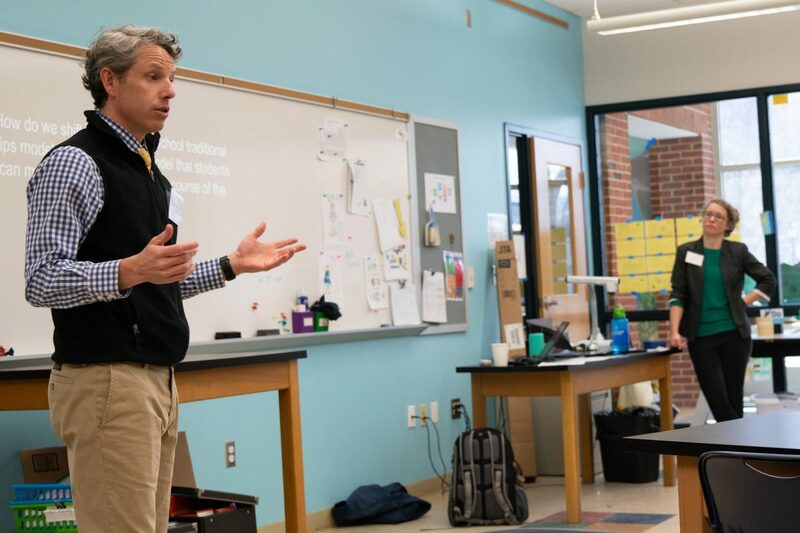 Instructional Designer and Character Curriculum© co-author Kelly Reynolds, in partnership with St. Paul’s School Head of Middle School Chris Cox, led a workshop on the power of partnership to strengthen social emotional learning outcomes. The workshop focused on the immersive work St. Paul’s Middle School has embarked on with Outward Bound and how that work is impacting students’ and their sense of themselves as a part of their greater communities. Outward Bound facilitating 70+ conference participants outside. And, of course, we sent our team of facilitators (including Program Manager Avi Rubinsky, Insight Program Coordinator Lainie Gray, and facilitators Leah Bentfield and Gabe El) to be a part of the day! We had a little fun outdoors putting some of those ideas about purpose, collaboration and partnership into practice through an Outward Bound initiative called Intergalactic Conference. Try the initiative with your students! Holistic education takes the effort of a collaborative community, because there is truth to the old adage that it takes a village to raise a child. Outward Bound was proud to be a part of that collaborative community at Learning to Lead. Schools for whom character development is a priority, we at Outward Bound hope to continue to learn from your experience, to support you in your efforts to nurture this next generation’s development, and to partner with you along the way. And if you’d like to learn more about SEL outcomes and Outward Bound’s approach, click here!